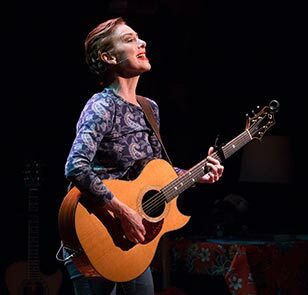 As an addition to its 40th anniversary season lineup, People’s Light presents acclaimed singer/songwriter Jonatha Brooke in her one-woman show My Mother Has 4 Noses. The play debuts June 17th and runs through June 28th. Jonatha’s mother was a published poet, a clown, a Christian Scientist, and she had Alzheimer’s. She also did have 4 noses, and an indomitable sense of humor. In their final two years together, Jonatha and her mother would mine the daily goings on for theatre. “In her last two years, we shared every human experience on the spectrum. My only instinct? Write it, sing it, tell it. And mom was absolutely complicit. So this is our crazy love story, complicated by religion and dementia,” explained Brooke. Enjoy a prix fixe dinner and a show package for $73 (Wed, Thurs, Sat matinee, Sun eve) and $82 (Fri, Sat eve, Sun matinee) at The Farmhouse Bistro prior to Wed-Sun evening performances. That’s a savings of up to 15% off the single ticket price! If you already have tickets, you can add dinner for just $37. Dinner and a show packages are available through the box office or online at PeoplesLight.org:. 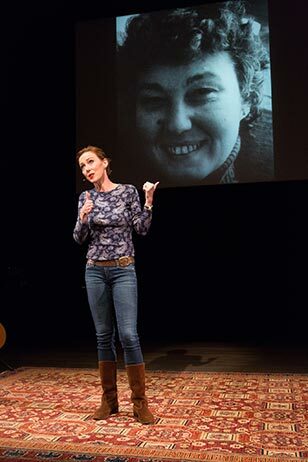 People’s Light has partnered with local experts for two free special pre-show Community Conversations in the Haas Upper Lobby about inter-generational caregiving inspired by the themes of How to Write a New Book for the Bible and Jonatha Brooke’s My Mother Has 4 Noses. Producing Director Zak Berkman will facilitate these gatherings with Rev. Diane A. Burkland, a member of the spiritual care team at Paoli Hospital, Ira Cantor, MD, Medical Director of Steiner Medical and Therapeutic Center, Cynthia Wagner, MSN, CRNP, ACHPN, CHPCA, System Director Palliative Care, Main Line Health System about Cancer Care on Saturday, June 20 from 6:15 – 7:15 pm and -Jason Karlawish, MD, Professor of Medicine, Medical Ethics and Health Policy, University of Pennsylvania, Felicia Greenfield, Associate Director of Clinical and Research Opportunities, Penn Memory Center, and Patricia Robbins, Author of In the Morning Light, Care-giver, Local resident about Memory Loss on Saturday, June 27 from 6:15 – 7:15 pm. Reservations can be made online or by calling the Box Office. Join us for a talkback after every performance (beginning June 18) with Jonatha Brooke and special guests. My Mother Has 4 Noses previews on Tuesday, June 16th and opens Wednesday, June 17th. Single tickets start at $27. VIP tickets can be purchased for $65 (weekday) and $75 (weekend) and include priority seating and a signed CD of My Mother Has 4 Noses. For tickets, visit peopleslight.org or call the Box Office at 610.644.3500. Special discounts are available for groups of 10 or more. For more information or to purchase group tickets, call 610.647.1900 x111 or email benedict@peopleslight.org. Actors, prices, productions, performance dates and times are subject to change. Additional service charges will apply. Contact the Box Office for more details.